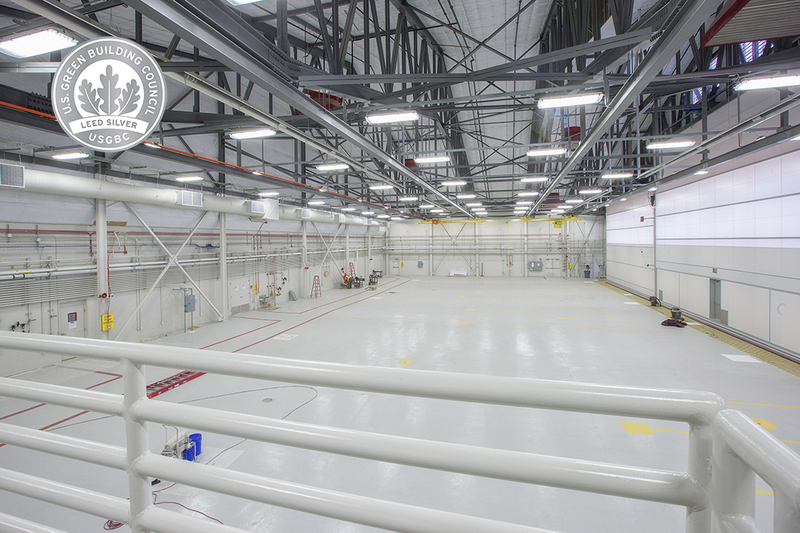 R&O recently completed construction on this hangar for the maintenance of the new F35 Lighting II aircraft. 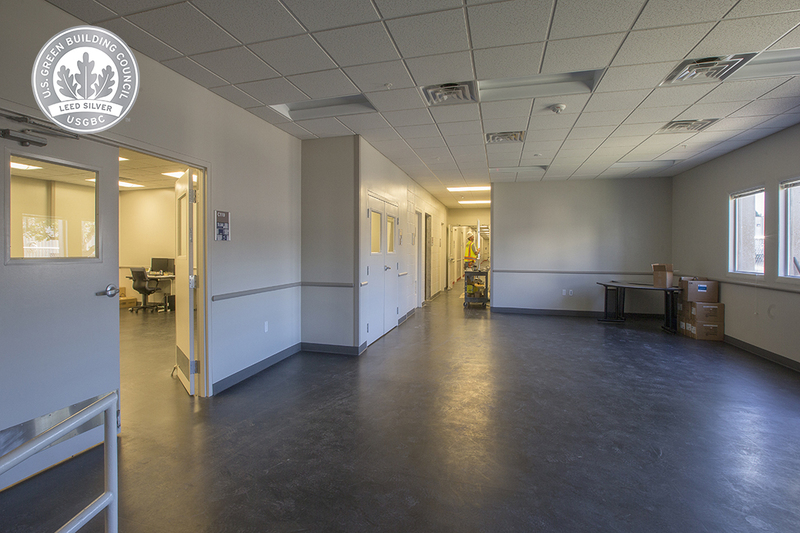 The project was 100% designed and was completed ahead of schedule. The contract initially called for alteration of two existing 1950’s era F16 hangars, but during R&O’s due diligence for design, it was discovered that the hangars were too unstable for alteration. The existing hangars were subsequently demolished with few challenges and minimal disruption of the base mission critical activities or project schedule. 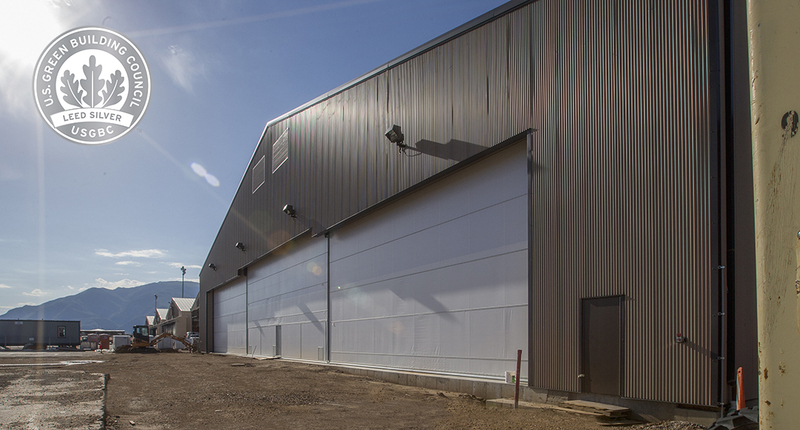 The two hangar buildings are constructed of a structural steel 180 foot liner open span truss system with a sheet metal exterior building envelope. The two hangars are connected by a 15,000 SF masonry and steel AMU section of the building, which will house support activities for each hangar, and the six F35 aircraft that will be maintained and serviced in the hangar facilities.